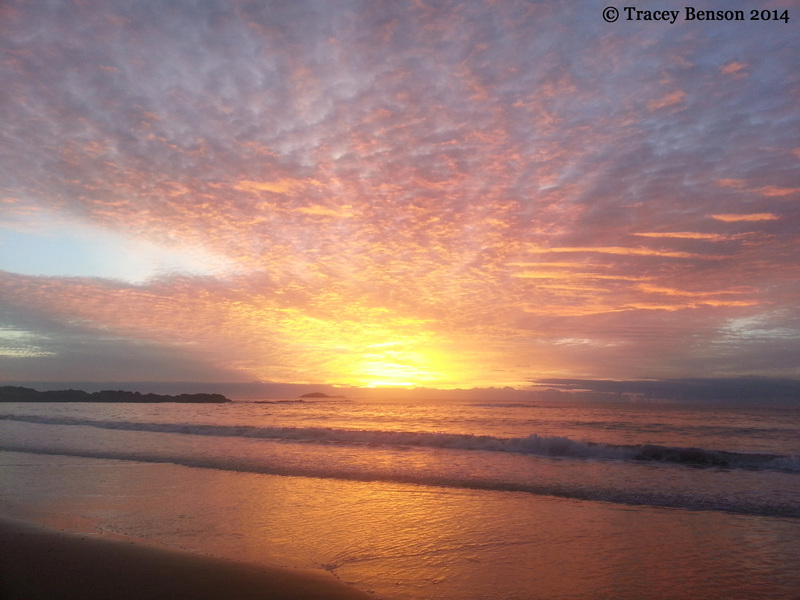 Korora Beach is one of the closest beach communities north of Coffs Harbour. There are quite a few ritzy seaside properties here, so probably not an area we could settle in, unless we win lotto 🙂 If you are driving up the Pacific Highway, it is just a bit further north from the famous Big Banana, (seen here in one of my art works and in a tourist shot). I noticed on the website that the Big Banana lays claim to being the first of the big things, but after doing a project for 6 years on the Bigs (Big Banana Time Inc.), I thought that the Gympie Big Pineapple (not the one in Namour) was the first. Might be worth following up. But I digress. This morning we woke early and went for a walk along the beach to take some photographs. These photos are just a small sample of our pictures, to see more check out Martin Drury’s photo essay Sunrise at Korora.